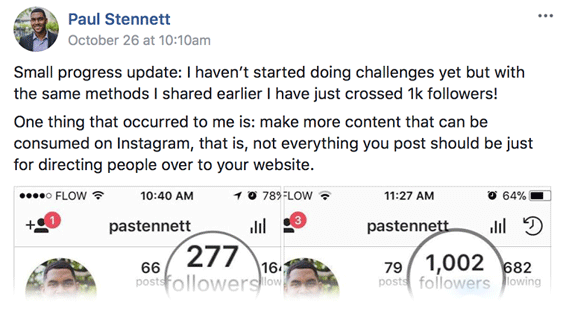 If you want to learn how to master Instagram and other social media platforms, and make sure that every hour you spend posting, liking, and commenting is having a massive impact on growing your audience, then keep reading. 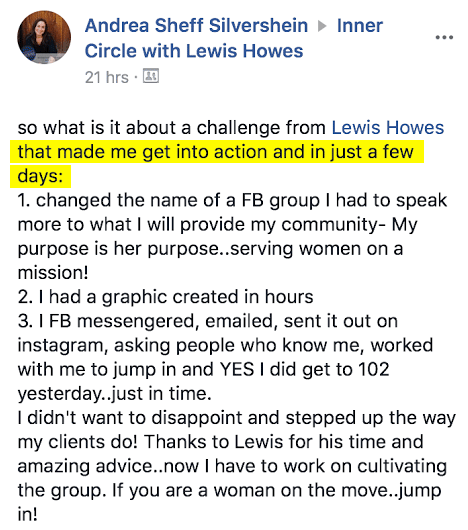 I don’t want you to waste another minute posting on social media if it’s not helping support you with massive audience growth so you can generate more leads and sales. 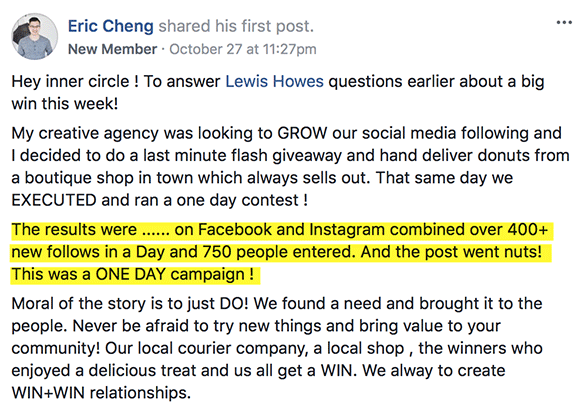 But if you're wanting to systematically grow your audience, become an influencer, and sell any priced product you have (from a $5 ebook to $50,000 coaching), then you’re in the right place. Dan Holguin wrote & published a book in under 30 days. Kareen Mills wrote and launched a book in under 30 days. Rob Giles landed 3 new coaching clients at $2,000/month each. I want to share with you how you can get immediate access to the Ultimate Instagram Marketing Training, so you can continue your education with Instagram marketing, as well as get monthly coaching with me. Every single month I’m doing LIVE trainings that teach you how to grow your business online and learn the top online marketing strategies for how you can automate and grow your business. 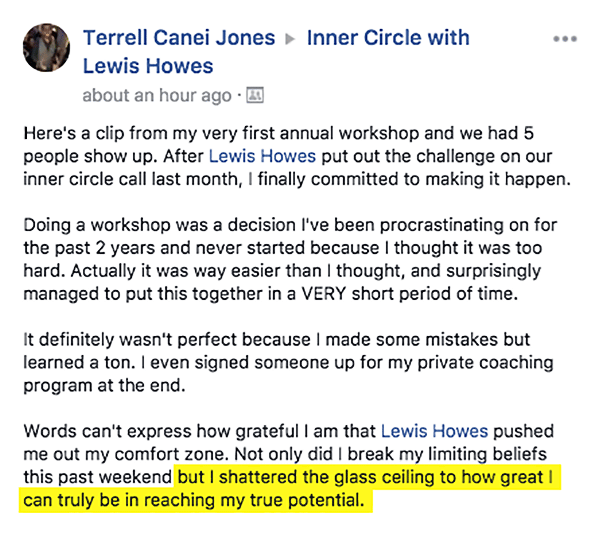 Inner Circle is my new business coaching program where I teach you exactly what’s working in my business. If you want to rapidly grow your business or mission - or - if you have a side hustle you want to get off the ground … and you want a mastermind with the highest level of advice without buying course after course. Then Inner Circle Is For You! Each month for the Inner Circle I'll do a LIVE coaching call. Each member's only private webinar is 2 hours long. In the first hour of the call, I'll cover the latest topics in online business. In the second hour of the call, I host a rapid fire Q&A where you and other members are invited to ask questions on the topic, and I'll answer the top questions. You can attend these calls live or receive the replay recordings. You get 3 months previous recordings and all new recordings when you sign up..
You’ll get any additional resources, downloads, and action guides after each live call each month to help you make more money online. $597 value Ultimate Instagram Marketing Training! Content is the most important part of your Instagram growth strategy. This 2nd training is all about how to create viral content, get more engaged followers, and create different types of engaging posts that Instagram already favors for likes and engagements. Don’t waste another minute posting content that isn’t serving your audience. If you’re not optimizing your Instagram profile, when people come to your page, they’re not going to follow you. If you don’t have the foundation optimized, then creating a ton of content won’t matter because you’re missing out on followers. You need a clean layout, a captivating profile, and you need to maximize the different features on Instagram - that’s what you’ll learn from this training. Learn how to share your products and services without any hard selling. This training is all about how to lead with posts that provide value, create community, and inspire people to take massive action. You'll learn how to turn likes into followers, get more sponsorships, and generate more money for every area of your business. minded people to connect with? Terrell from Washington DC launched his first live workshop after 2 years procrastination. 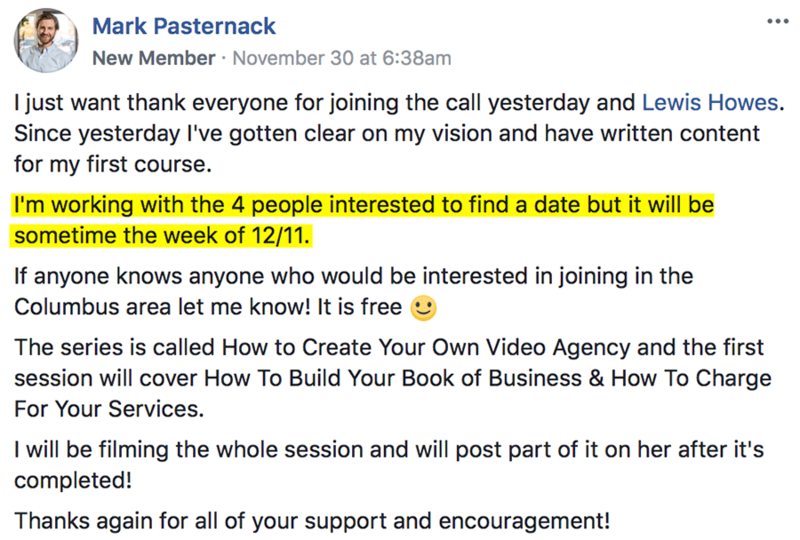 Mark from Ohio launched a bootcamp that helps videographers get clients (6 signed up). Sign up for Inner Circle now! Natasha from New Zealand got the clarity to launch her online store selling handmade bikinis. Andrea from New York is a Life Coach who quickly built an online community for women. Dan from Montana signed a brand endorsement deal with a few Instagram profile tweaks. You’ll get instant access the Ultimate Instagram Marketing training, then every month you’ll get access to live calls where I’ll teach the top online marketing strategies.